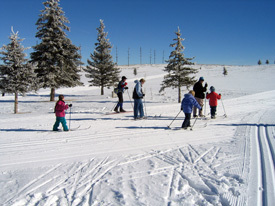 Bring your whole family out for a day of cross-country skiing. Individuals and families of all ability levels are welcome. Free ski rentals, light snacks, and basic instruction will be provided by BRORA.